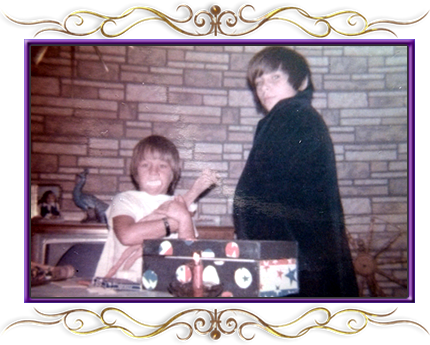 When I was 12 years old I began to learn magic and perform magic shows in my basement for friends and neighborhood children. 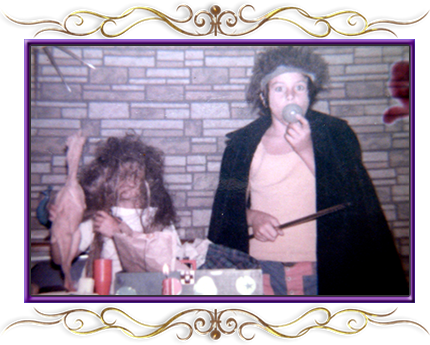 In my late teens I left magic for music eventually leading to performances in several local and traveling bands as well as stage shows including Jesus Christ Superstar and The Wiz. Years passed without any professional involvement in magic until my son Peter wanted a magician for his 5th birthday party. I saw Peter's birthday party as a great opportunity to get involved in magic again. As a writer, the first thing I did was to write a show that would entertain 5 and 6 year old children. I relearned some old magic effects and learned some new ones. During the show I used my son and daughter as assistants for several effects and both caught the magic bug. 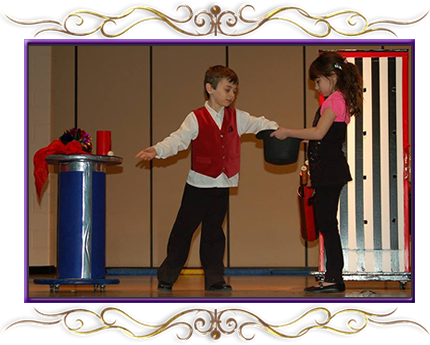 In 2013 my children then age 8 and 6 began performing magic on their own at school and talent shows. 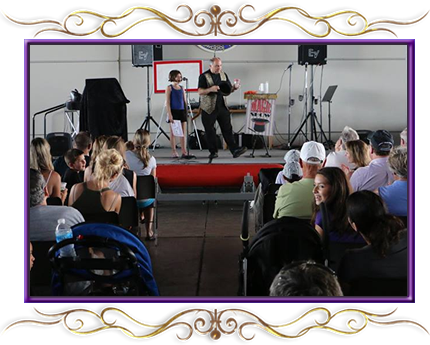 In 2014 and 2015 Cecilia and Peter and I performed at The 5-Minute Follies in Philadelphia as the Combs Family Magic Show. 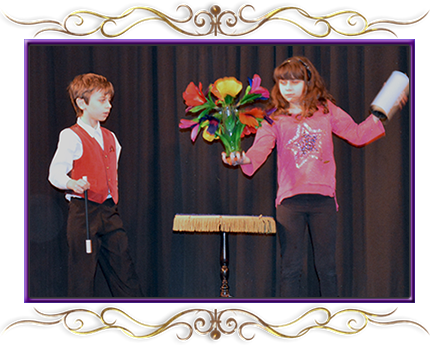 Today I have developed several magic and mentalism shows including one show that features my children. 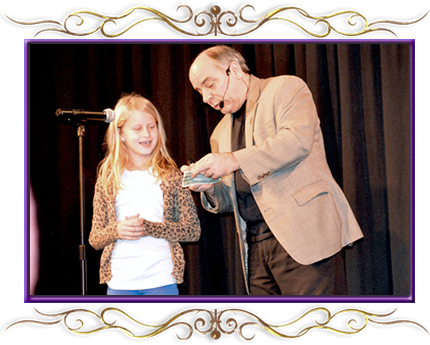 We perform magic shows all over South New Jersey and the Delaware Valley. Pick A Card Any Card – The Answer Is In A Soda Bottle. In this trick the volunteer does all the work. They first shuffle a deck of cards then they pick seven different cards (all face down and unforced). From those seven cards the volunteer picks just one card. It is now the volunteer finally looks at the card. The volunteer unscrews the bottle top that has been in plain site the whole time. The volunteer takes a card out from the bottle – the two cards match. In this trick a volunteer signs a dollar bill. I show the dollar to the audience. I vanish the dollar bill in my hands. I then hand the volunteer a plastic bag with a container of ice cream. Note the bag was tied with a knot and the ice cream container is sealed with plastic by the manufacture. The volunteer opens the ice cream container I scoop out the ice cream into a clear ice cream Sundae Glass. As I scoop out the ice cream a dollar bill is found in the ice cream. When the dollar bill is inspected, it is the same dollar bill with the volunteer’s signature. In this trick I tell the story of how my sister would hide her food as a child as not to finish her meals. I then have a volunteer crush an egg in their hands and just as fast as the volunteer crushes the egg I restored the egg. 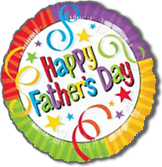 Fathers Day 2014, Cecilia has been trading her chocolate chip cookie treat everyday during her lunch at school. If you know Ceil, you know she loves her chocolate and chocolate chip cookies so I was interested why she would do this. She only has one treat per day so it seemed nice for her to feed someone else her cookies but she never got anything in returned. 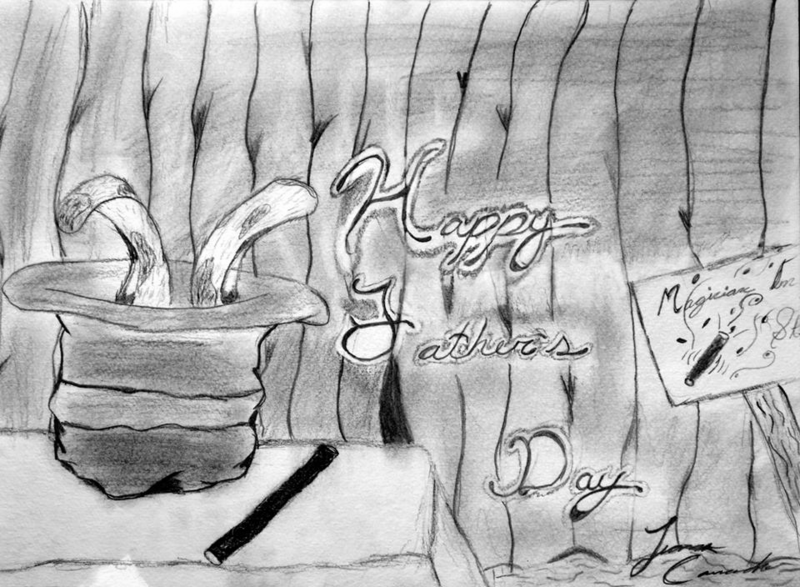 On Fathers Day she presented me with the poster below of a magician’s hat, rabbit and wand. It seems Ceil paid her friend in cookies everyday at lunch to draw the poster for me. Now that’s love!